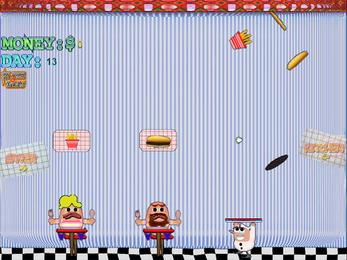 Food Fanatic is based on retro arcade/console game play. 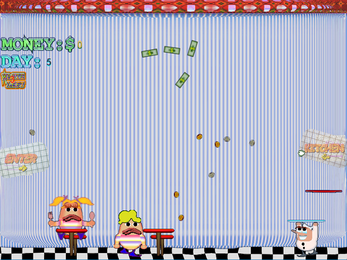 As Pepe, the player must deal with disgruntle unhappy customers. Don't let them starve or your FIRED. 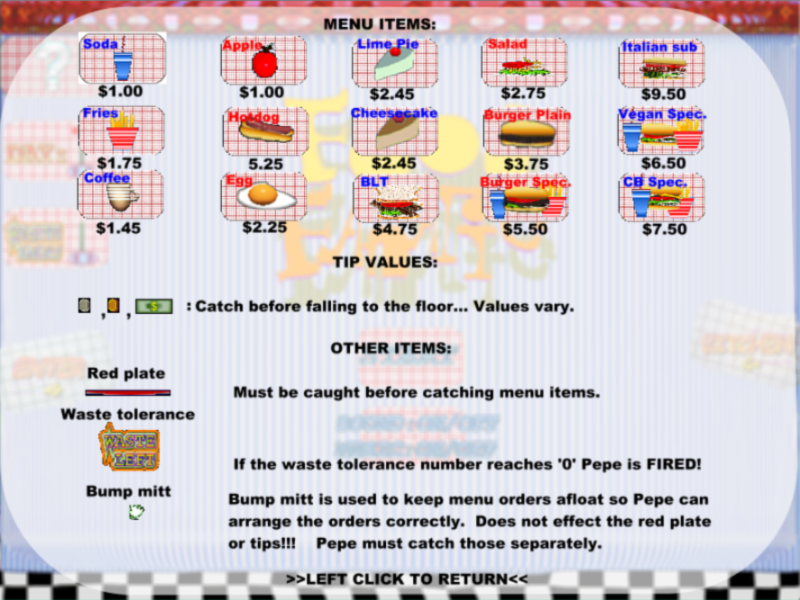 Collect tips and multiply Pepe's wages per day. The mouse moves Pepe the waiter left to right and vice-versa. It also is used freely to employ the bumper mitt used to keep ticket orders in the air while Pepe sets up the correct order for the correct table. 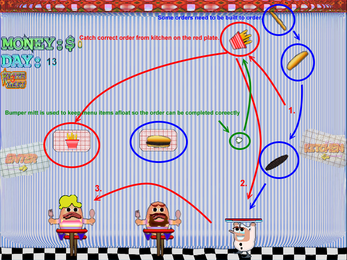 The left-mouse-button is used to serve the food to the correct table or bump the order to redo if there is a mistake. 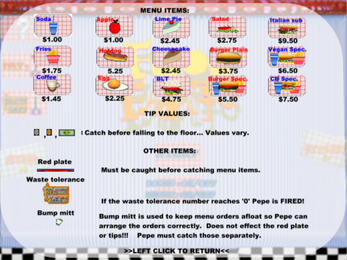 Pepe may also use his body or blue carry tray to bump items into the air as well. 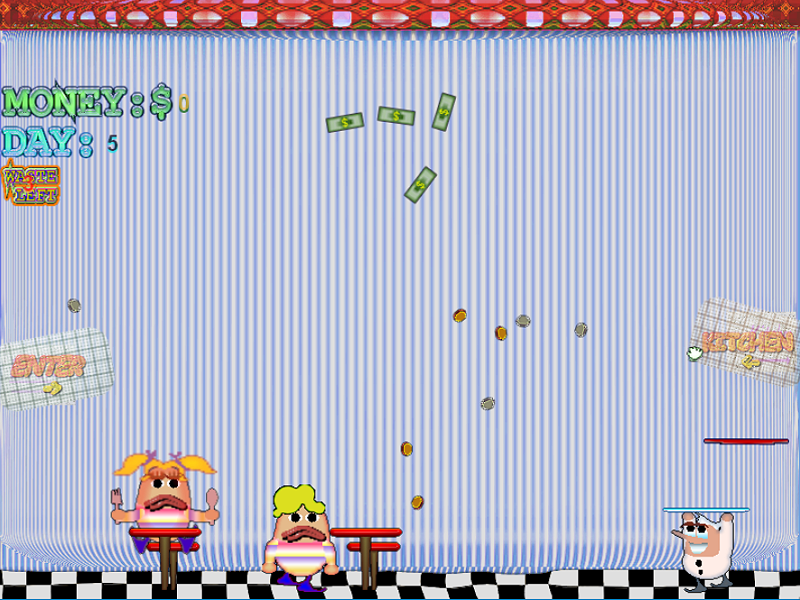 When using his body he is awarded 25 cents and the server multiplier is increased. 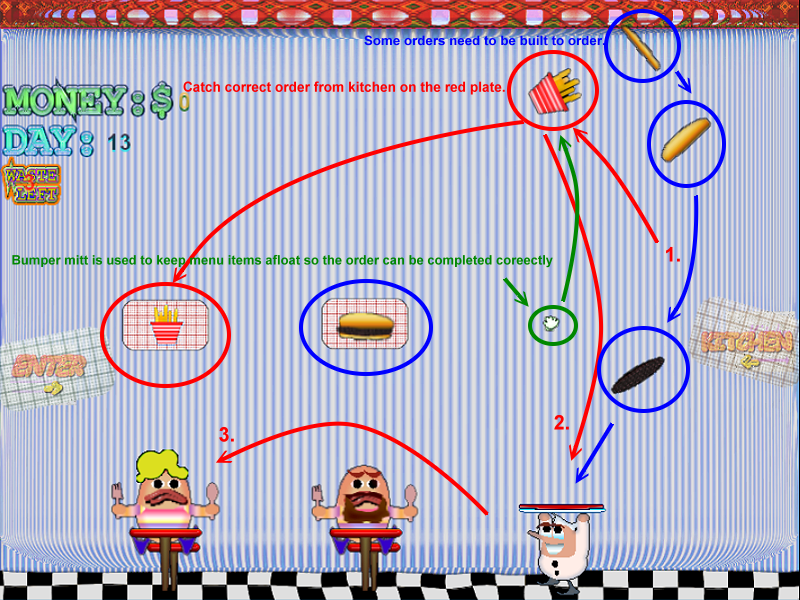 Which will increase the price of the order since he kinda shows off his waiter skills performing an order. NOTE: On touch-screen and other interactive devices as long as they can simulate the above control scheme through their respective OS's then all should be good. 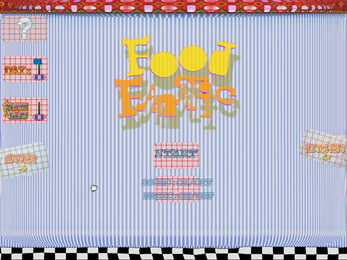 But I do not guarantee Food Fanatic will work on every device. 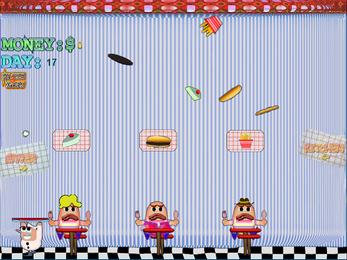 Mainly, on full HTML5 supported devices that are capable of allowing their browsers to control the canvas element to a 'T'. On a PC or capable device this should not be a problem. For more information please read the docs as a seperate download. Especially, for web play. 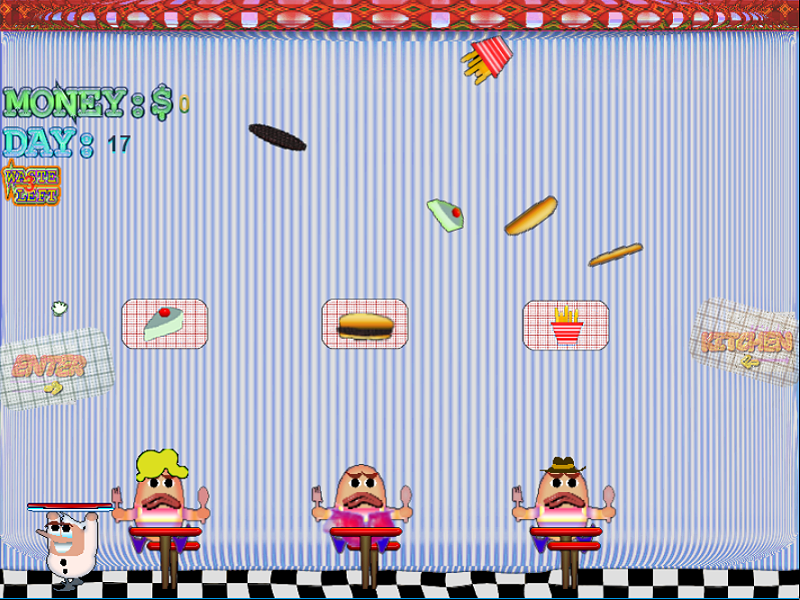 **NOTE: this is not a restaurant builder simulation game. 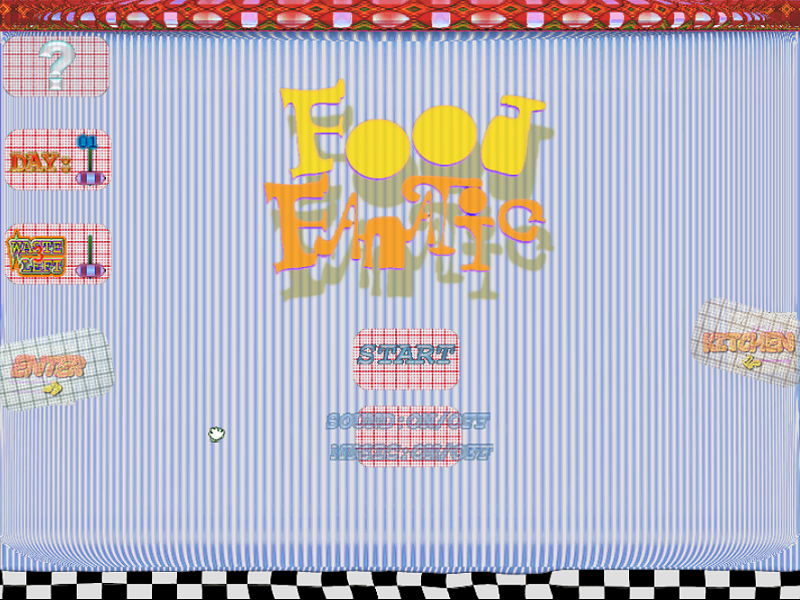 One version is HTML5 browser. One version is for Windows(see documentation). 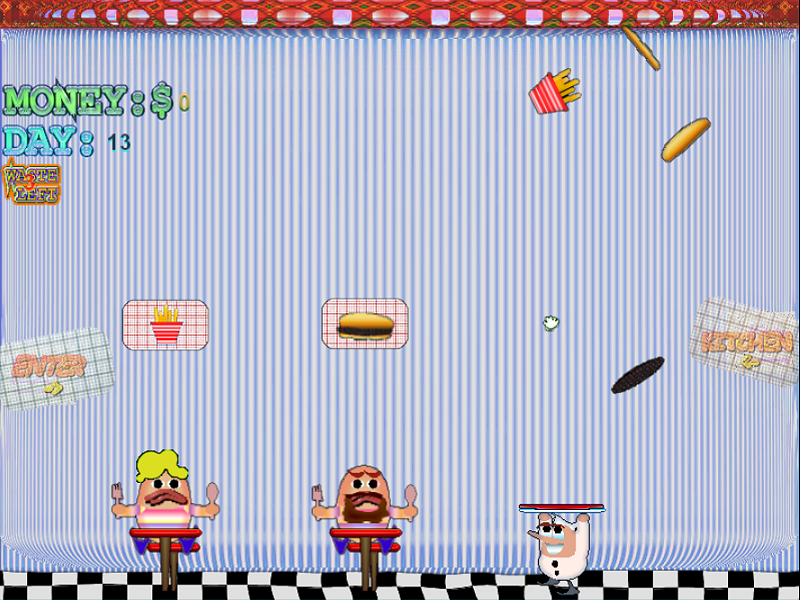 One version is HTML5 downloadable. Just download and unzip then drag or open with favorite browser. (chrome works very well).